Under normal circumstances, the unmounted status of NTFS drives/partitions does not make much of a difference to the end user. A simple double-click will mount and open the drives. But with the advent of Unity and Dash search, the matter has acquired a new dimension now. Recently used files (and apps) are featured prominently and without the automounting of all drives and partitions, this feature is good as useless. As we clearly demonstrated earlier, automounting partitions on startup has its benefits, especially in the context of Unity desktop. Unity files lense somehow does not feel complete without all your file usage data, especially if you're not using Home partition for storing huge amounts of data. Now, lets get into the details. 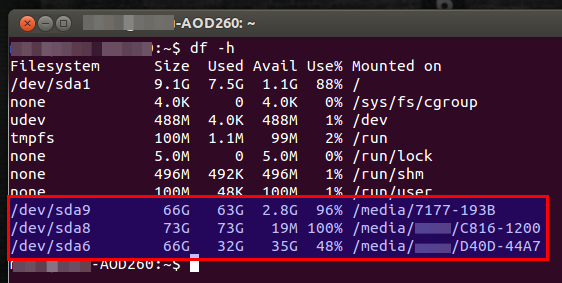 Here's a detailed guide on automounting NTFS partitions/drives in Ubuntu on startup (tested on Ubuntu 12.04 and above). First, you have to figure out the actual locations of these partitions in your hard drive. For that, simply copy-paste the following command in Terminal (before that, make sure all your partitions are in a mounted state). Done. Here's how my partition table looked like. Notice the highlighted part. As you can see, I have 3 NTFS partitions other than my Home partition, each of which will be automounted on startup by doing the following. In my case, I will start with /dev/sda9 partition. Launch Startup Applications. Click the Add button and enter the details as follows. Fill in the Name section also as per your needs. Also, make sure that you're entering the right partition number. /dev/sda9 above is only indicative. And you're done. 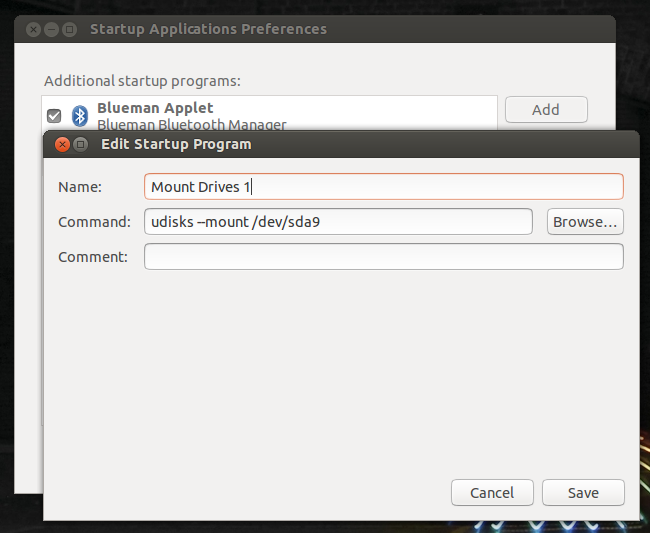 Similarly, I will have add the other two partition's location to Startup Applications. Upon restarting, you'll notice the changes. Thank you for reading.